Product #3833 | SKU DMK57-52 | 0.0 (no ratings yet) Thanks for your rating! The DMK57-52 Drum Mic Kit is a conveniently packaged selection of microphones and mounts, designed to offer a complete core package of microphones for recording and performing drummers at a great price. 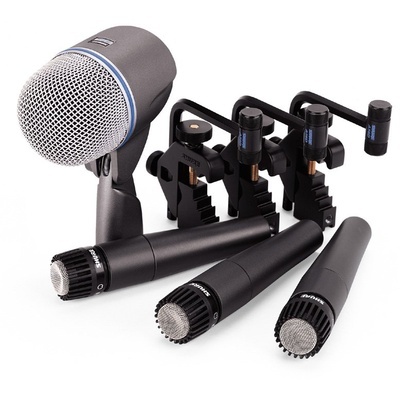 The Drum Mic Kit includes three SM57 microphones, one Beta 52 microphone, three A56D drum-mounting systems, and a lightweight and durable carrying case.